There are certain people out there that use their position of power or influence to obtain gifts and inheritances from loved ones that may be elderly, sick, or easily manipulated. Florida law refers to this legally as “undue influence,” and this action can invalidate a will, trust, or a gift. A court may set any of these transactions as void when they are procured by undue influence aside. How is Undue Influence Defined in Florida? Every state has their precise definition of undue influence and what must happen for a court to presume undue influence has occurred. The Second District Court of Appeal in Florida defines undue influence as conduct that “must amount to over-persuasion, duress, force, coercion, or artful or fraudulent contrivances to such a degree that there is a destruction of the free agency and will power of the one making the will.” The court took the definition further by also defining what is not undue influence; stating, “mere affection, kindness or attachment of one person for another…” does not constitute undue influence. actively procured the will or trust. One sign of undue influence is when a testator drafts a new trust or will that substantially changes the testator’s estate plan. The Florida Supreme Court found several common signs of the undue influence In re Estate of Carpenter, 253 So. 2d 697 (Fla. 1971). The beneficiary had physical possession of the will or trust after the testator executed the document. The Carpenter factors are not an exhaustive list by any means, and the case is quite old, so Florida courts have given the factors more or less preference over time. Generally, a court will apply common sense to the facts of the case when determining if undue influence occurred. Did a beneficiary have the idea to make a will, and then did he or she exert direct control over the testator to make it happen? On a side note, a court will not assume undue influence when the beneficiary is a spouse unless there are signs that say otherwise. Generally, the courts are in favor of an estate plan that favors a spouse. The presumption of undue influence is rebuttable under Florida Statute 733.107. First, a party must establish the will or trust is valid and properly executed, then the burden of proof shifts to the person challenging the document. The challenger must present evidence to prove the elements of undue influence. Once the challenger establishes sufficient evidence of undue influence the burden shifts back to the proponent of the will or trust. The proponent then must prove that the challenger’s evidence is not undue influence. 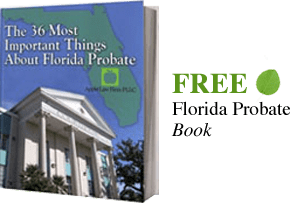 Undue influence in Florida is a form of fraud, and winning a lawsuit for an estate planning or elder law matter is serious business. Most civil or criminal trials in Jacksonville or Ponte Vedra, involve a long and lengthy process, which requires discovery, motions, witnesses, and being successful hearings with the probate judge. It is imperative that you contact an experienced estate planning attorney. Physical possession of the will by the beneficiary after its execution. While active procurement is necessary to prove undue influence, it may be necessary to look at other factors which may provide for the active procurement. There are many newer cases that have addressed other ways of proving these factors and it is important to fully evaluate the situation. The presumption of undue influence is a rebuttable one under F.S. §733.107. Once proper execution of the Will (or trust) has been established, the individual challenging the document has the burden of presenting evidence to prove the elements of undue influence by a preponderance of the evidence (more likely than not). If the case of undue influence has been established by the contestant, the burden of proof, then shifts to the proponents of the will, who provide evidence that the will was not the result of undue influence. Proving undue influence is difficult, but proving that it did not occur is also difficult and expensive. The outcome of many cases depends on who has the burden of proof. Historically, the party alleging undue influence in a lawsuit normally bears the burden of proving that claim. Proving the burden is difficult and if the burden is not met, the case will not be successful loses. In Carpenter v. Carpenter, 253 So. 2d 697 (Fla. 1971), the Florida Supreme Court held that the presumption of undue influence no longer shifted the burden of proof to the alleged undue influencer in will contests. In Cripe v. Atlantic First National Bank of Daytona Beach, 422 So. 2d 820 (Fla. 1982), the Florida Supreme Court adopted the Carpenter rule for presumption of undue influence cases involving inter vivos transfers. Undue influence can be a very expensive claim to pursue and unfortunately it will not make financial sense in all cases. For larger cases where the claims are in excess of $500,000 it may be possible to hire lawyers to pursue these claims on a contingency basis. If you suspect that someone used undue influence to change estate planning documents in which you lost a substantial inheritance, you should contact a Florida trust litigation Lawyer or Florida will contest Attorney to discuss how undue influence may be a cause of action you should persue.